The live quiz app hosted a special musical-themed show for "Rent: Live," with an appropriately rent-themed prize. Free rent for a year? Yes, please! That was the prize live quiz app HQ Trivia gave to one lucky winner when it hosted a special musical-themed show for "Rent: Live," which will aired in January on Fox. Host Scott Rogowsky was joined by the musical’s star Brandon Victor Dixon. Players who answered all 12 questions correctly were entered to win the game’s appropriately rent-themed prize. Brainstorming for the campaign began in mid-December 2018. Kovert Creative was brought on to help strategize the PR strategy just a few weeks before the show, which aired on January 21. The goal of the campaign was to promote the quiz show from an earned media perspective and generate enough buzz to increase the number of players, said Brandon Teitel, HQ Trivia’s SVP of programming and partnerships. "We wanted to see people talking about us, and the framing of free rent for a year is so visceral," he said. "Nobody likes [paying] rent or a mortgage." The "Rent"-themed quiz show also was designed to appeal to Broadway superfans by allowing them to "use the knowledge of musicals that you’ve spent hundreds of hours developing," Teitel said. "Here’s your shot to turn it into winning real money." A week before the show, Kovert Creative reached out to members of the media, targeting writers that covered celebrities, Broadway, and musical theater, said Alyssa Schimel, head of TV and content communications at Kovert. HQ Trivia also teased the show in the weeks leading up to its airing, posting details about the contest on January 15, less than a week before the air date. 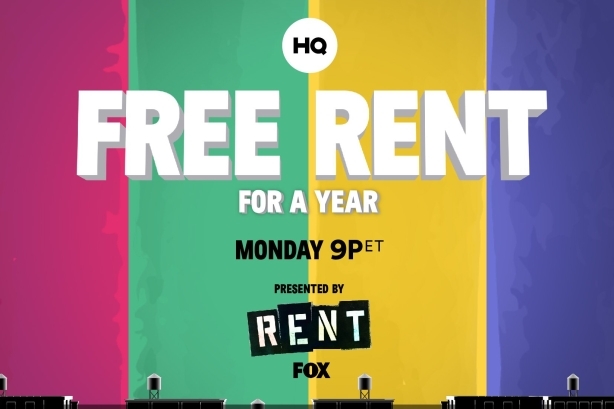 HQ also tapped "Rent: Live" stars - who co-hosted the quiz show - to help promote the campaign. Dixon, who played the character Tom Collins, posted multiple times about the show. The campaign was covered by a range of outlets. Broadway-themed publications picked it up, including Playbill.com and BroadwayWorld, as did People, ExtraTV, Yahoo, and PureWow. HQ Trivia also gave People the exclusive on the story, which lead to a feature-length article on Young and her plans for the money she will save on rent. The app saw a 40% jump in participating audience members from the show’s average user count. Upwards of 500,000 people play the game per night.